Windsor Chair from 1947 with simple loose cushions. 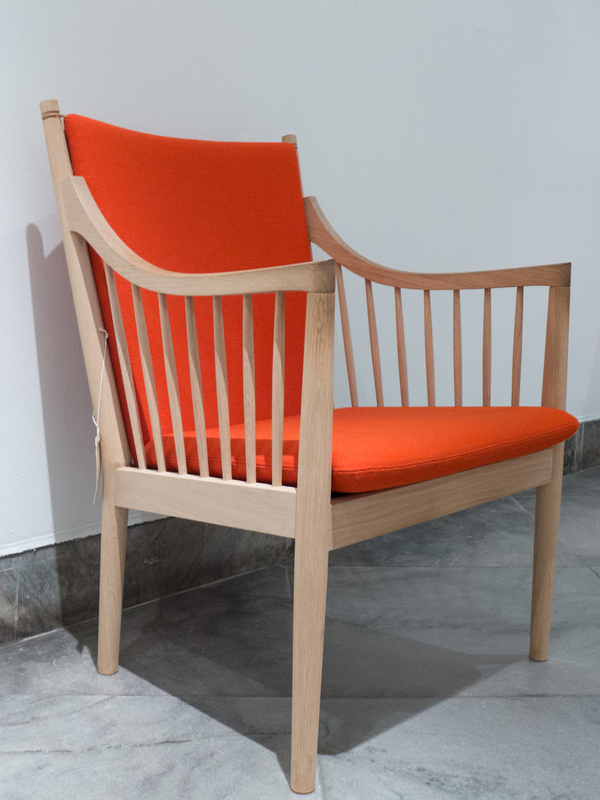 The in-cut ring around the top of the back post and the loop on the top corner of the back cushion link this chair to work by Borge Mogensen and also the Colonial Chair that was designed by Ole Wanscher in 1949. 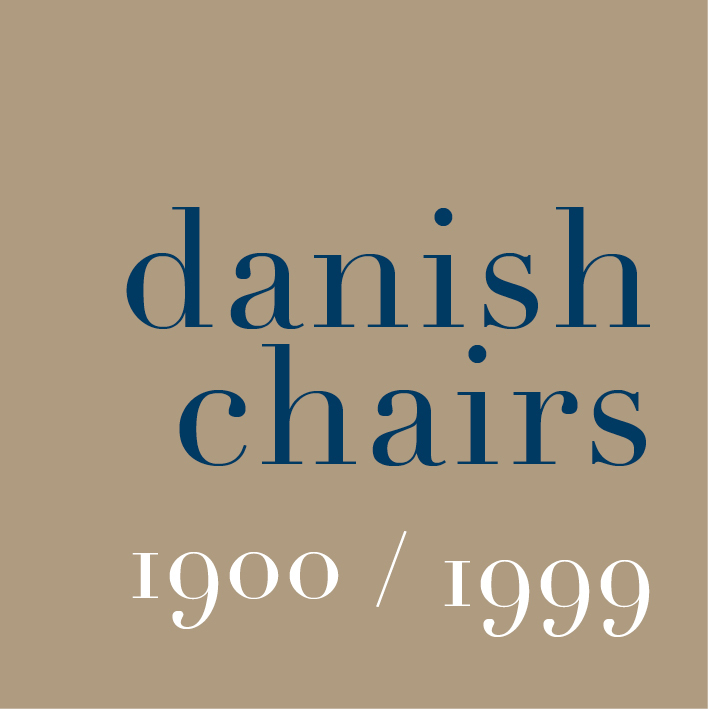 Looking at a large number of chairs that were designed by Hans Wegner, would suggest that he was not interested, primarily, in upholstery but with form and construction: he designed few fully upholstered pieces apart from a cuple large armchairs - including the Papa Chair of 1951 and the Wing Chair of 1960. For desk chairs or dining chairs, padded upholstery was usually simply a loose cushion as with the Windsor Chair of 1947 or was a shaped seat in plywood that was then padded and covered with material or leather - a form he used for the H55 and the CH88 that were both designed in 1955. One of the variations of the Chinese chair design. There is a marked contrast between the stark, simple, thin leather-covered cushion without piping or nails and the deceptively simple but actually highly sophisticated carpentry of the frame of the chair ... note the swan-neck curve of the vertical support of the arm inset from the end of the curved back rail at the top and half-lapped over the side rail of the seat. 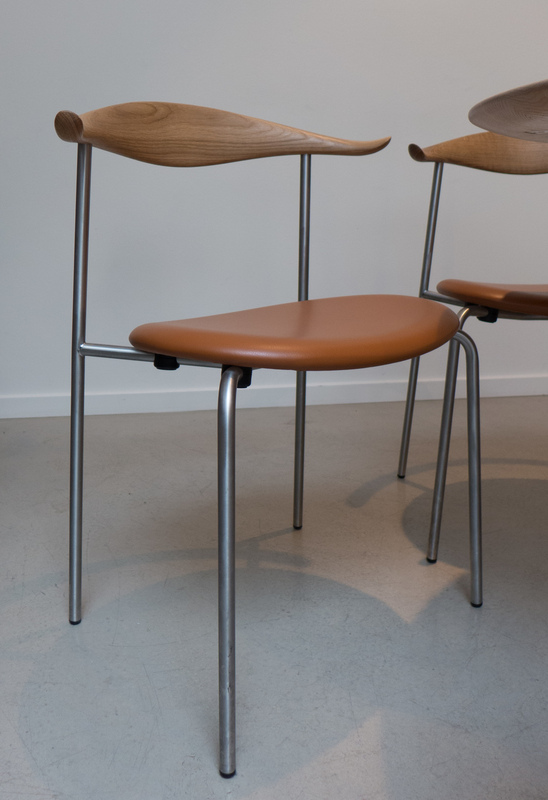 The shape of the upright support and the curve of the wide but elegant splat of the back are very closely related to the design of the Y or Wishbone Chair. There are odd exceptions … chairs that had more conventional upholstery ... but these are generally early including the Lattice Chair of 1942 and there was a desk chair with arms that was exhibited at the Cabinetmakers Guild Exhibition of 1944 with the seat cover fixed with brass upholstery nails showing he understood and could do, if he wanted to, what Kaare Klint taught. However, many of the later chairs had either a plain wood or plywood seat and the majority of his chairs have a curved or shaped solid wood back rest. The most common alternative was to form an open frame for the seat or the seat and the back and use interwoven cane or paper cord to provide the support for a person sitting in the chair. A Lattice Chair from 1942 with details of the more conventional form of upholstered seat. Note the beautiful detail of the shoulder just below the top of the leg that takes the mortice of the front rail of the seat. 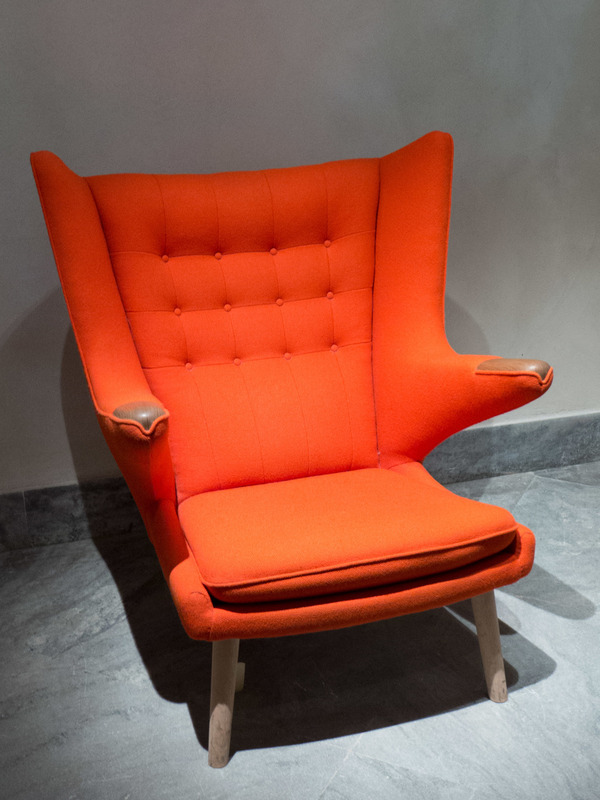 For the most extreme example of the opposite approach to design of upholstered chairs from a contemporary designer then you need only to think of the Egg Chair by Arne Jacobsen that is, apart from its pedestal, 100% upholstery. Or at least everything you see is upholstery because none of the underlying construction is visible … you don’t even know what materials are used for the internal structure. Wegner did experiment with much more extreme or at least unusual types of chair that were wide and low and almost cocoon the sitter but primarily play games with the frame - both the Halyard Chair of 1950 and the Circle Chair from 1986 have a large open frame, with the Halyard Chair in metal and with the Circle Chair a hoop of bent wood, strung with rope and then with cushions for comfort or with the Tub Chair of 1954 he played with the adjustable back angle of a deck chair but used for what appears at first to be a conventional upholstered chair.